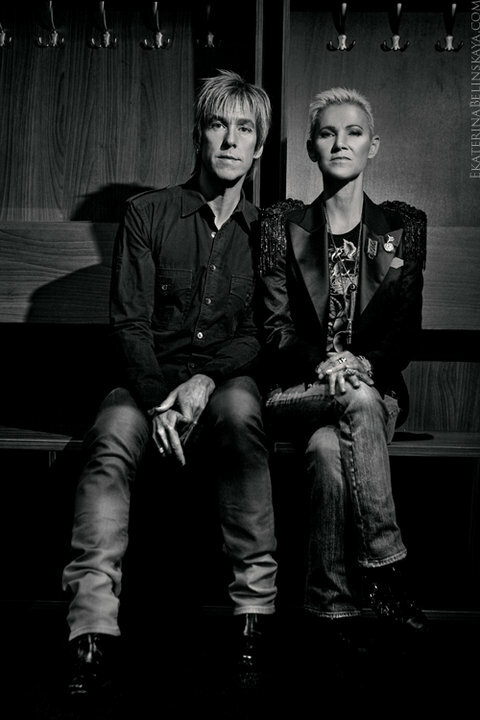 Russian art-photographer Ekaterina Belinskaya had the chance to shoot Roxette minutes before the Moscow concert. Check out the great result and more of her work at her website! Photo used with kind permission of Ekaterina Belinskaya. What a PERfect picture! Thanks for sharing! I love Marie’s cool expression, her strong photoshoot look after all the rather “random” pics of the last years! Lindíssimos! Marie e Per numa foto tipicamente ‘clássica’ do Roxette! E que venham a nova tour, o novo álbum e os novos sucessos! joy-rider: I like #1 and #3 of your proposals. While I love logos (am a graphic-designer myself, did the RXB logo) have to say that I prefer album covers without logotype. Rather a nice, clean typeface for that and let a great picture work! Great photo!! YES! And a great talent! BUT..she wants to have 100 $ for it!! Uff..No thanks…No way! But it was worth to try it! I should become a photographer! 100 $ per photo…hmmm..not bad..
Chrissie, is 300$ so really expensive? Photographers sell photos to newspapers, magazines, TV-stations, so it has to cost. It won’t be just 10 bucks 🙂 And it’s not so easy to make living out of it, so 100$ is quite fair imho. You don’t sell thousands of pictures every day, so one picture had to be so costy. I wouldn’t compare her photos with photos from photographers working for maybe a local newspaper. I can tell you the photographers working for the newspaper I work for really only get 10 bucks for one photo. 😉 But they sell around 3-6 photos every day. But she isn’t working for a newspaper and must sell her stuff this way so I guess she maybe doesn’t know that it’s probably just a bit too much to ask for. I never would pay $ 100 for a photo. And, I didnt think that it posibble to sell Thise pix, it’s under copyrighting Roxette and my. How you whant to use it?!! She wrote that I can get a high resolution file to print it. …well..of course I know that photographers have to earn money but this photo is not that much worth for me. WOW 🙂 This is really a very nice photo. Love the one where they’re sitting back to back.